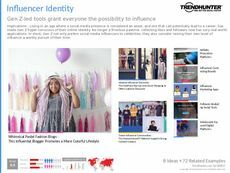 Find Better Ideas, Faster ® with a custom youth media trend report, our PRO Dashboard and 80+ categories of premium trend reports. 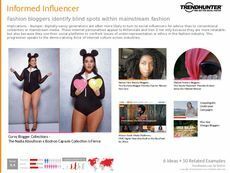 Trend Hunter's Youth Media Trend Report is a eye-opening look at the modern media landscape from a youthful perspective. We provide expert commentary and informed insights about youth culture, and its relationship with multiple types of media platforms. Through careful study of various demographics, we offer readers an in-depth profile of youthful media consumption habits and competitor habits. 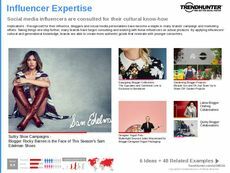 Let Trend Hunter's crowdsourced research guide you and your professional team towards success and prosperity based on proven industry trends. Gain an enhanced understanding of youthful consumer habits for a number of media types including social, online, television, broadcasting and more. 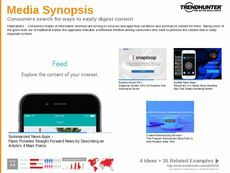 The Youth Media Trend Report will provide professionals with the tools they need to start attracting and retaining a youthful audience.